SSE and Innogy have appointed Katie Bickerstaffe as the chief executive of their proposed merged retail company. But who is she, and where did she come from? Utility Week investigates. It is unexpected, perhaps even premature, of SSE and Innogy to name the chief executive of their new merged business before it has been approved by the Competition and Markets Authority (CMA). The industry had barely had a chance to speculate about who might head up the new company – informally nicknamed “Senpower” – after last November’s announcement that the two firms will spin off their retail businesses to create a new player in the UK domestic energy market. But nonetheless, Katie Bickerstaffe has today become the first person to be appointed to the board of the planned combined enterprise. She will assume her role later in the year and lead on completion of the merger. Bickerstaffe is no stranger to the top job. She is currently chief executive of the UK and Ireland division of multinational electrical and telecommunications retailer Dixons Carphone – a role she has held since 2015. And equally, she is familiar with the challenges of executing mergers between industry heavyweights. 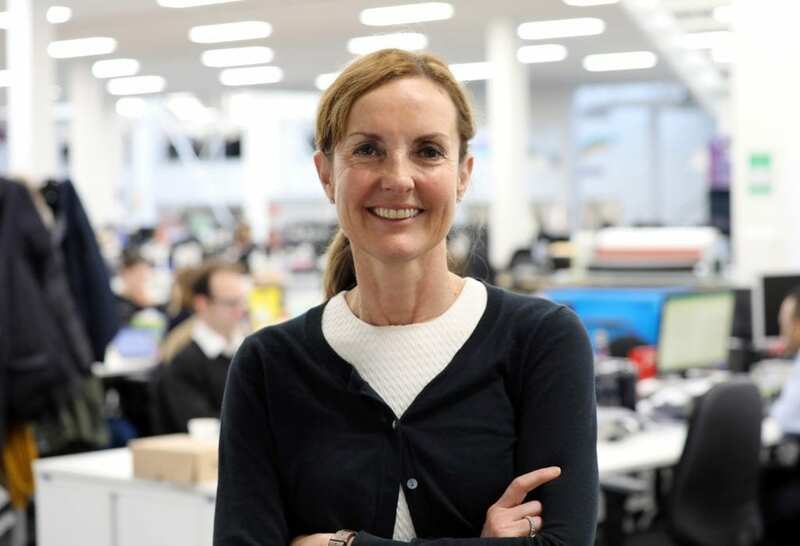 Whilst chief executive of Dixons, she helped oversee its £4 billion merger with Carphone Warehouse. Furthermore, as a non-executive director of SSE – a role she has held for 7 years – she has considerable experience of the UK energy industry, and insight into the trials businesses in the sector are negotiating. This said one senior industry source suggests it is a “brave move” to go appoint a CEO for the SSE-Innogy enterprise who hasn’t any direct experience running an energy firm. Part of SSE and Innogy’s rationale for hiring Bickerstaffe is to capitalise on her knowledge of customer-facing businesses. She has a diverse range of experience from a variety of roles in different customer-facing retailers and fast-changing markets and has, according to SSE, an “invaluable understanding of customers’ needs”. Certainly, her experience of the uber-competitive world of technology retail will prove invaluable in an energy market with more than 60 retail companies now competing for business. Bickerstaffe also hinted she will swiftly bring her broader service industry experience to bear, suggesting “Senpower” will actively pursue growth in home services, rather than sticking to transactional energy retailing. The fact that the owners of the proposed joint venture have already appointed a chief executive demonstrates their confidence that the CMA will allow the deal to move forward. Innogy’s chief operating officer for retail, Martin Hermann, confirms this in a statement. “Our decision as to who will take up the chief executive position is a really positive sign of the progress we are making,” he says. Assuming the merged business gets the all-clear – which thus far looks likely – Bickerstaffe’s extensive experience stands her in good stead to lead the new retail company through the merger and make it a viable competitor in an increasingly tough energy market. Katie Bickerstaffe was appointed an executive director of Dixons Carphone on 6 August 2014 following the merger of Dixons Retail with Carphone Warehouse. On merger, she retained her responsibilities as chief executive of UK and Ireland for the Dixons business and, from 1 May 2015, assumed responsibility for the whole UK and Ireland division. Bickerstaffe had joined Dixons as director of marketing, people and property in June 2008. Previously, she was managing director of Kwik Save and group retail director and group HR director at Somerfield. Her earlier career included roles at Dyson, PepsiCo and Unilever. Bickerstaffe has also been a non-executive director of SSE since 2011 – a role from which she will step down with effect from 30 April 2018. The proposed deal was first announced in November 2017. In a seemingly snap decision, which caught the industry off-guard, SSE and Innogy agreed to merge Innogy’s British retail business Npower with SSE’s household energy and energy services business to form a new independent retail energy company – not controlled by either Innogy or SSE. The merger will create the second-largest energy supplier in the British market – with a share of around 24 per cent. At the time of the announcement, Innogy chief executive Peter Terium said it was a response to the “uncertain political environment” for energy retailers in the UK, although he was adamant it was not a result of the energy price cap, nor an “exit before Brexit”. He did, however, indicate that the price cap news may have “pushed the deal a bit quicker”. Meanwhile SSE chief executive Alastair Phillips-Davies said the “scale of change” in the energy market meant the deal would enable both entities to “focus more acutely on pursuing their own dedicated strategies”. If approved by the CMA the merger is expected to complete by the last quarter of 2018 or the first quarter of 2019. Until then the business operations of both Npower and SSE will remain independent. Innogy and SSE: edging towards exit?